The groom has been kidnapped! Can the hens unite to save the big day? This is the Bride's worst nightmare. Become an actual, fully-fledged member of CSI with this intense investigation into the Groom's kidnapping… dun dun dunnnn. This is one of the most popular hen party activities in the capital, and it's totally tongue in cheek – and the Groom is safe. Here's the plan: the Best Man will film the husband-to-be's kidnapping as he is in a bit of trouble with money – he's spent the entire wedding fund… The Maid of Honour will then take the hen group to a bar, where you'll be met by a Garda inspector who will reveal the tape. Your team will then become detectives for the day and must set off, following a trail of clues to rescue the Groom before the big day. 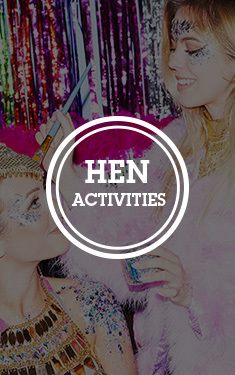 This is a seriously unique and fun way to celebrate the hen do and, as an added incentive, the winning team gets a bottle of delicious Prosecco.